Monochrome is my current obsession. 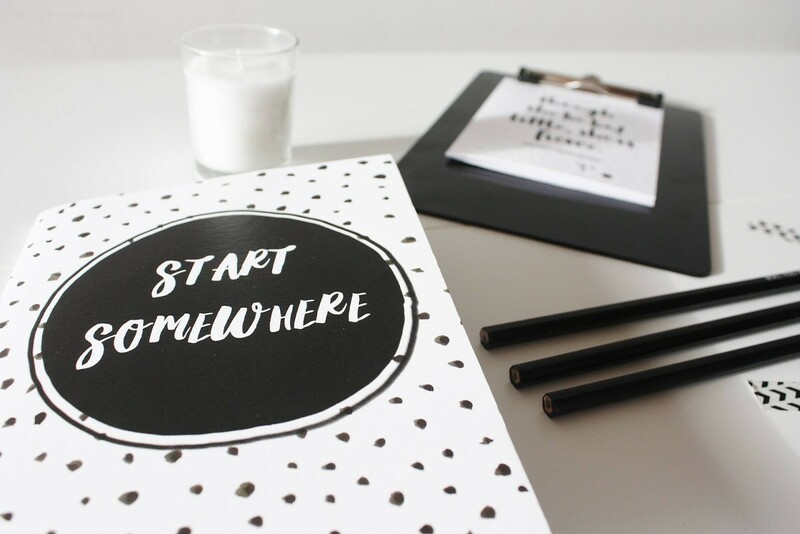 Here are some great office finds I have found and as my new job begins next week and my aim is to make my desk space as minimal (but still chic!) as possible. Organisation is essential so notebooks and my Blogger Journal will come in handy. I’m all about crisp, white stationary and black quote pencils, hence why I couldn’t resist purchasing a pack of Mean Girls ones how cute are they! I also bought some chevron tape which I know will come in handy. What do you think of these monochrome desk essentials? Would you try the Blogger Journal?